Offering great software, useful and easy to use. Maintaining prices as low as possible. A clear example of our commitment with quality and value for our customers is MSD Soft's Universal License, which includes Lifetime Licenses for ALL our programs, at an irresistible price. This is a real deal and for a good reason our best selling product. Looking at our prices it is very easy to know why. Just One Payment and you will enjoy ALL MSD Soft's programs with free upgrades for life. MSD Soft's programs are Shareware, you can test them for free to see if they meet your needs. To use them without limitations you need to purchase a License. Standard License: allows to use current main version and future minor versions of the registered program. Lifetime License: allows to use current version and all future versions of the registered program (pay once and enjoy the program for life). 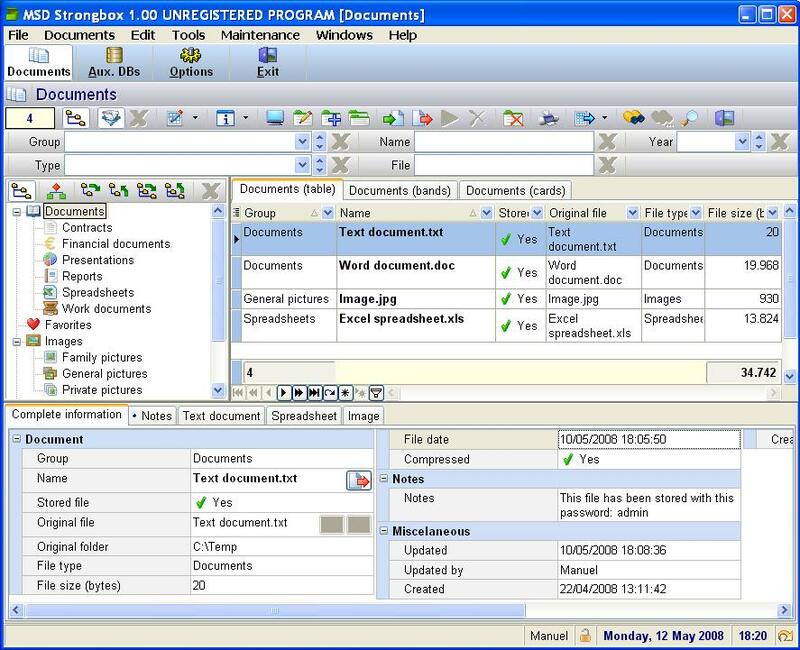 Personal versions of our programs can be installed in the computers of the license owner (for instance, desktop computer and laptop computer). Multiuser versions of our programs: the Server application can be installed in one computer of the Local Area Network, the Client application can be installed in all the computers of the LAN (other companies charge for every network installation). The registration key to unlock our programs is delivered immediately after the purchase is made. Receiving by electronic mail the registration key to remove the limitations of the evaluation version of the registered programs. Free technical support by electronic mail. Thousands of users worldwide use our software daily. Thousands of Companies, professionals, self-employed people and individuals worldwide have purchased our programs since 1999, and still purchase them daily for a reason: we offer great products at very competitive prices. So, if you use to contact clients, friends and family, have meetings and appointments to manage, employees to control, documents to archive, passwords to manage, tasks to assign to your workers, collections to catalog, sales to analyze or confidential documents to protect, then our software will surely help you in your daily activities, like it is already helping thousands of users worldwide. 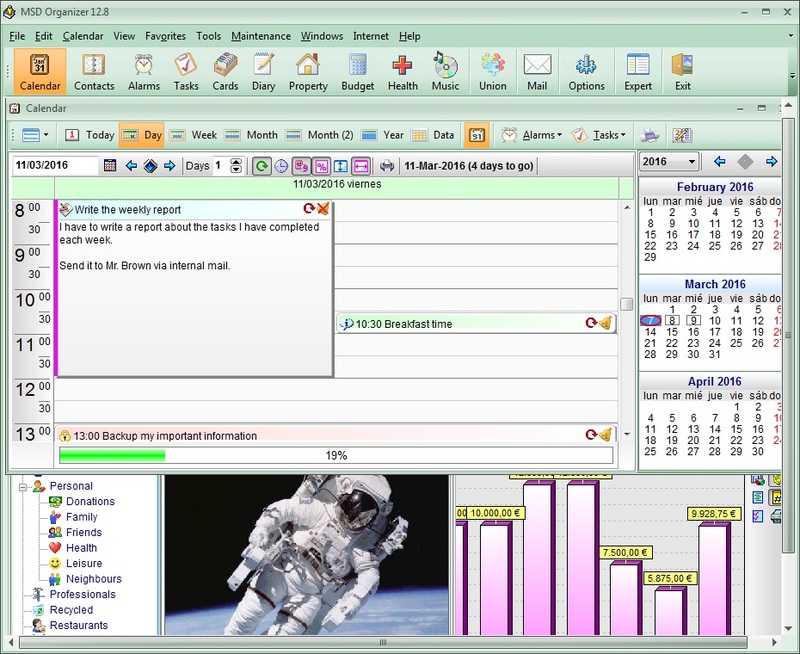 MSD Organizer: full featured, easy-to-use and secure personal and professional information manager with thousands of users worldwide. This amazing program will save you Time and Money!!! 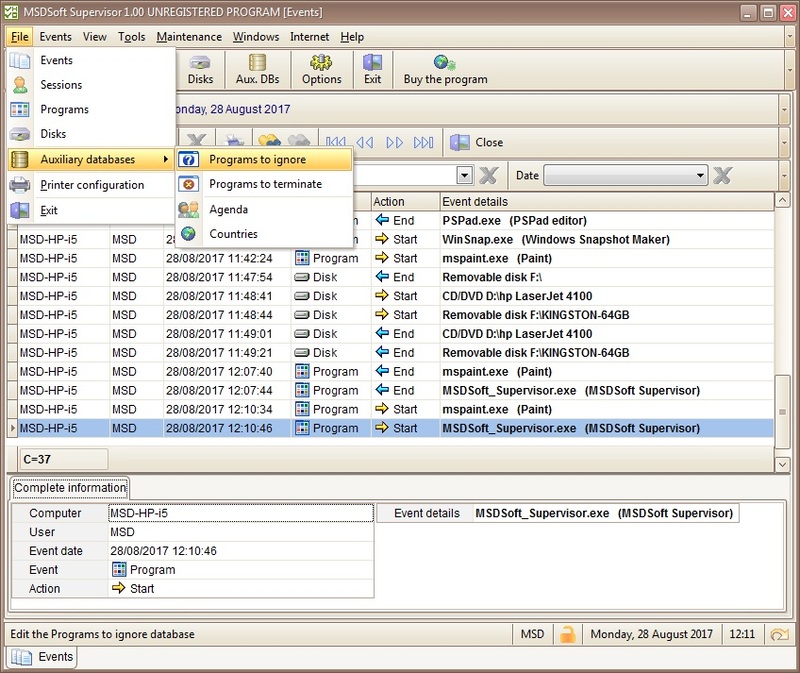 MSDSoft Supervisor: activity monitor for Windows, that allows to supervise user sessions, programs launched and removable disks connected in the computers where it is installed. 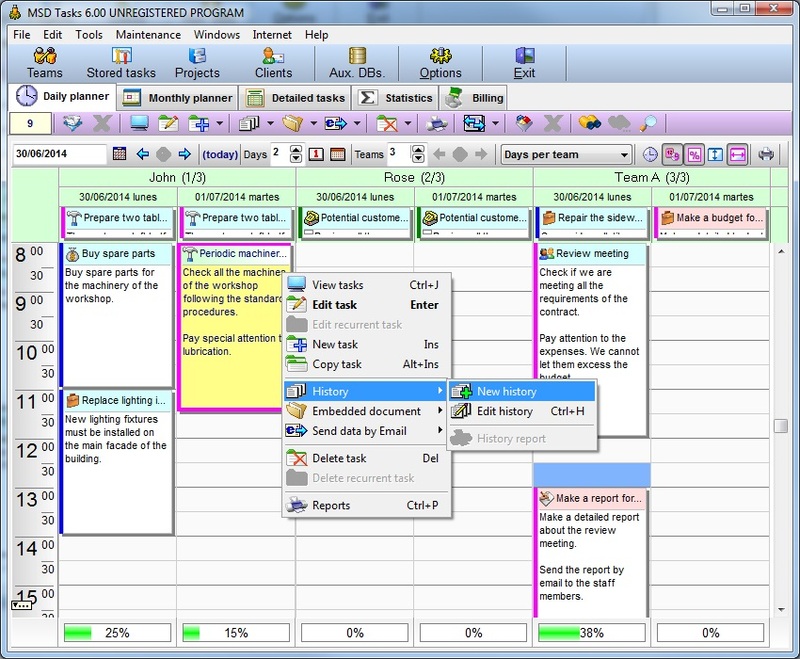 MSD Tasks: advanced visual work planner and scheduler, with automatic work order management. You will be able to control your employees tasks with easy. 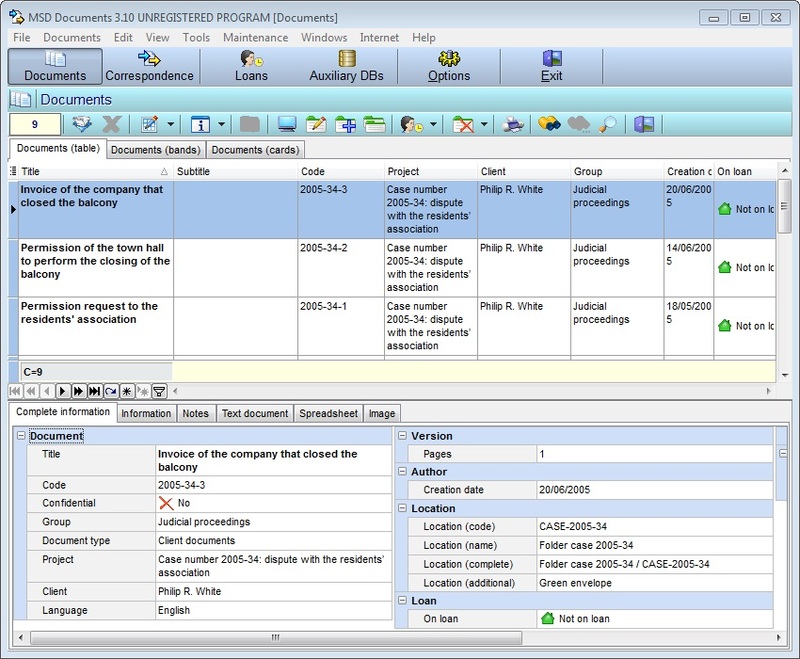 MSD Documents: complete and full featured documents and correspondence manager, with full control of physical location of documents. 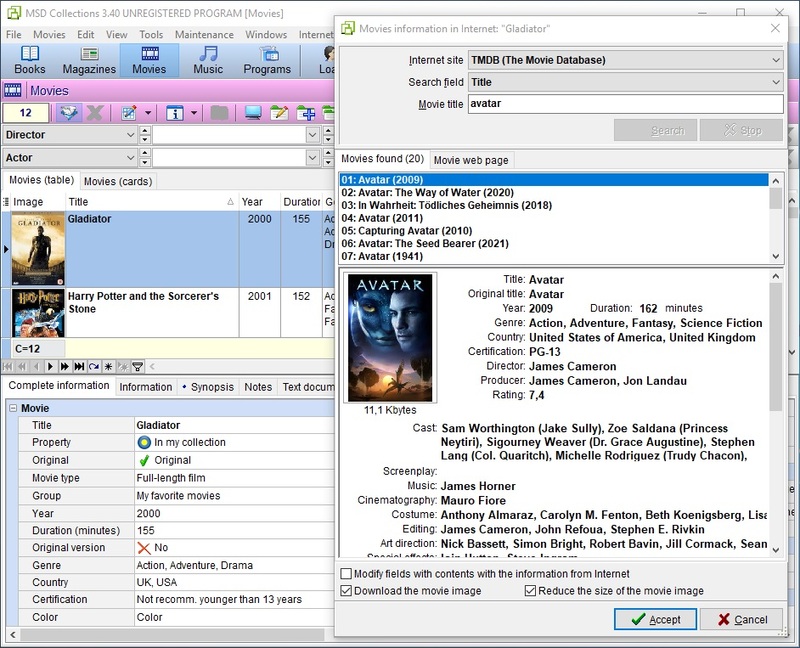 MSD Collections: advanced cataloger for Books, Magazines, Movies, Music and Software. Includes a module to manage the Loans of all your objects. Get all your collections under control. 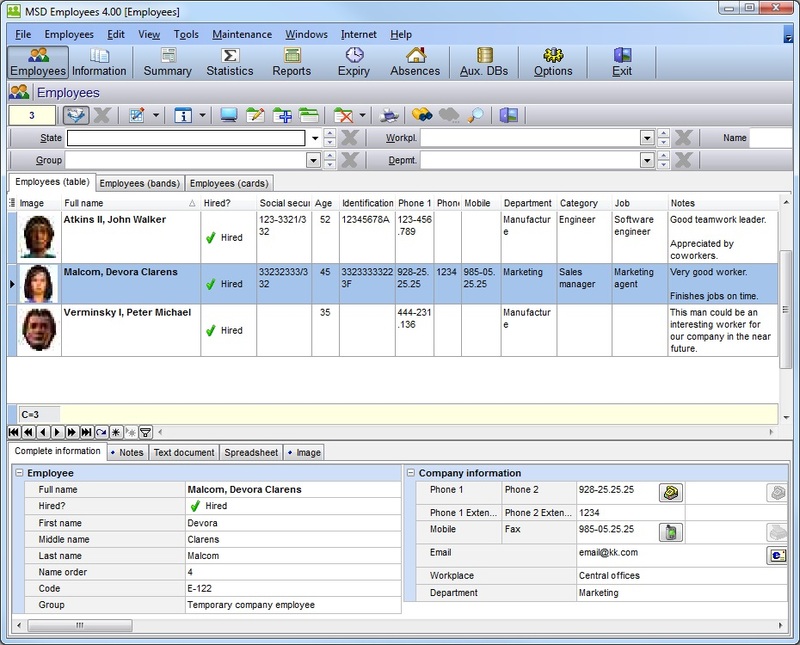 MSD Employees: powerful employee management software that allows to catalog all important information about employees. A Must Have for any small business. MSD Strongbox: confidential documents and confidential files manager of maximum security. Nobody will be able to see the information you enter into this program. 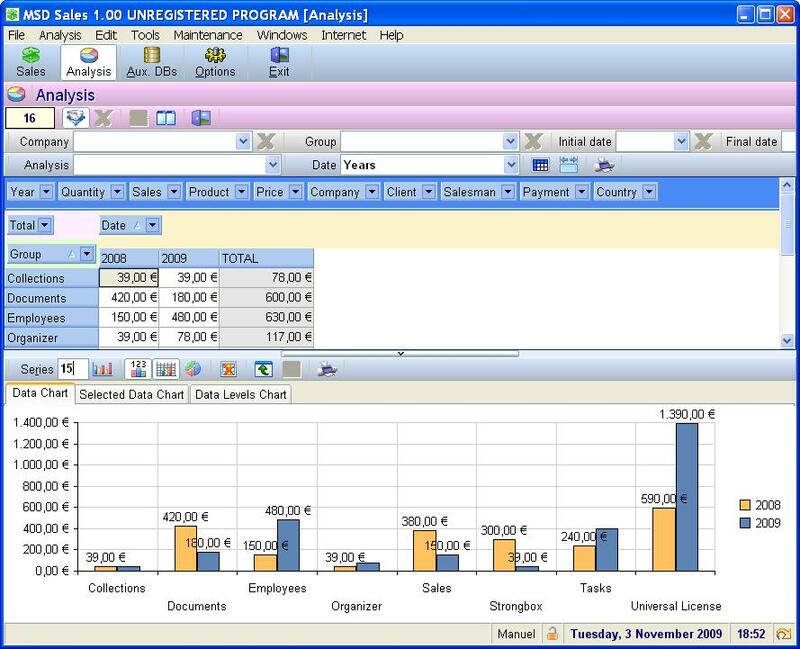 MSD Sales: visual sales analysis tool. Keep control of your sales by dates, products, groups, clients, salesmen, payments and countries. You will see your sales data in a different and productive way. MSD Passwords: powerful and easy to use password manager. Visit Internet password protected websites with easy, using the default browser of your computer and without recalling user names and passwords. Download ALL MSD Soft's Programs Now!!! You can download all our programs at once and try them for free. MSD Soft's Universal Installer will allow you to install in a few seconds all our programs. Personal and multi-user versions are available. The installer creates a single icon on your Windows desktop, which will allow you to launch all the installed programs. If you prefer, you can download our programs individually from our download webpage. Install MSD Soft's programs with confidence, since our software is respectul with your computer and can be uninstalled very easily.